Surprisingly, melting hurts rather than helps, MIT research reveals. Bonding metals to each other is a common task in both home-based DIY projects and commercial production. Soldering is a commonly used method, where molten metal must be introduced between the pieces. But melting metals can actually inhibit metal bonding rather than promote it. According to MIT scientists, the findings could have serious implications for the design of certain metal coatings or for 3-D printing, which both require getting materials to stick together and stay that way. Christopher Schuh, Professor of Metallurgy explained that one of the papers outlines ‘a revolutionary advance in the technology’ for observing extremely high-speed interactions, while the other makes use of that high-speed imaging to reveal that melting induced by impacting particles of metal can impede bonding. 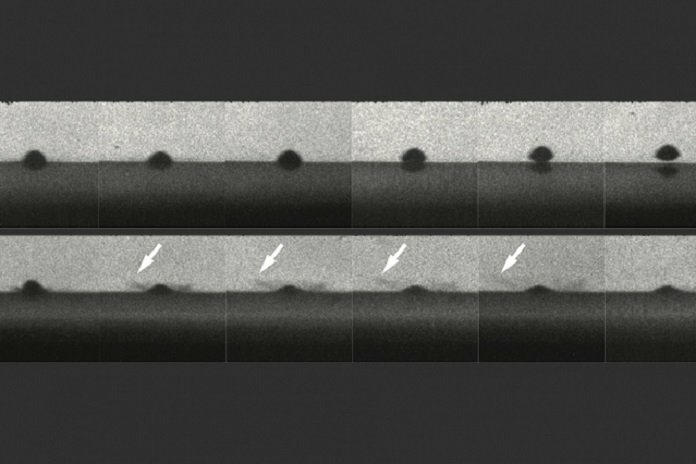 The top row of photos shows a particle that melts the surface on impact and bounces away without sticking. The bottom row shows a similar particle that does not melt and does stick to the surface. Arrows show impact sprays that look like liquid but are actually solid particles. The optical setup, with a fast camera, that utilization 16 isolates charged-coupled gadget (CCD) imaging chips and can record pictures in only 3 nanoseconds, was basically created by Veysset. The camera is fast to the point that it can track singular particles being splashed onto a surface at supersonic speeds, an accomplishment that was already impractical. The group utilized this camera, which can shoot up to 300 million edges for each second, to watch a shower painting-like process like ones used to apply a metallic covering to surfaces in numerous businesses. Such techniques are widely used as they are so faster that can’t be seen and can’t tell what’s happening. No one has ever been able to watch the moment when particle impacts and sticks. 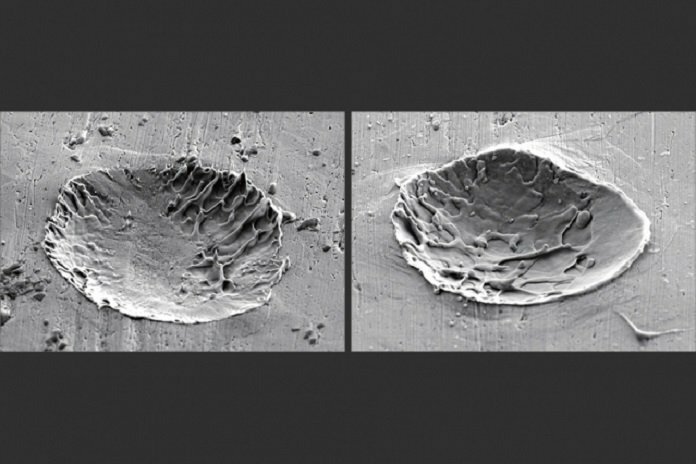 This new analysis shows that under some conditions, the particles of metal being sprayed at a surface really do melt the surface and that, unexpectedly, prevents them from sticking. The particles bob away in considerably less time than it takes for the surface to resolidify, so they leave the surface that is as yet liquid. If coating material is not bonding properly, they may be inclined to increase the spray velocity or temperature in order to increase the chances of melting. But the study suggests something different- melting should be avoided. Moreover, this new information could also help in the design of some metal-based additive manufacturing systems, known as 3-D printing. It also promises an accurate and mathematical approach to determining the optimal conditions to ensure a solid bond.